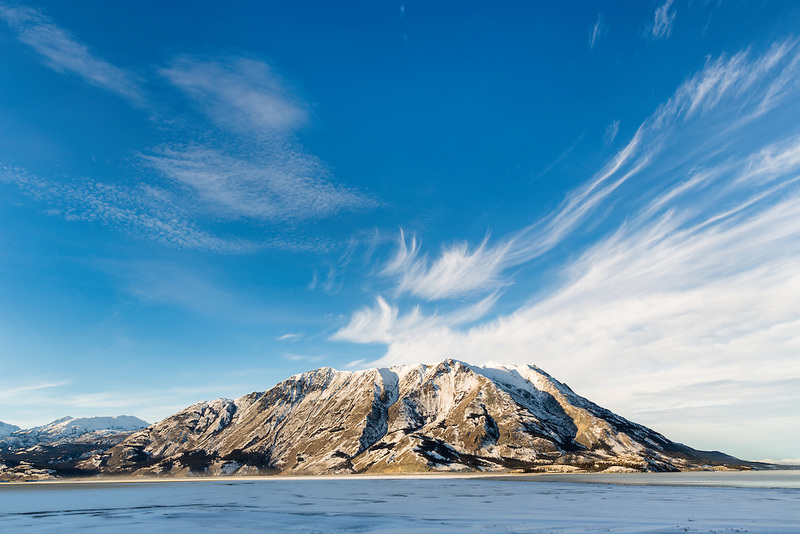 Cirrus clouds over Sheep Mountain along Kluane Lake in Kluane National Park in Yukon, Canada. Winter. Afternon.